Nashville, TN – Dr. R. Albert Mohler, Jr., President of The Southern Baptist Theological Seminary, is scheduled to speak at the all-new NRB Pastors Track on Wednesday, February 24, 2016, during Proclaim 16, the NRB International Christian Media Convention, in Nashville, TN. 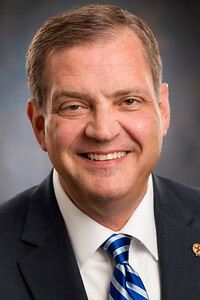 Since 1993, Dr. Mohler has served as President of The Southern Baptist Theological Seminary. He is an esteemed authority on contemporary issues and has been recognized by such influential publications as Time and Christianity Today as a leader among American evangelicals. In addition to his presidential duties, Dr. Mohler hosts two programs: The Briefing, a daily analysis of news and events from a Christian worldview, and Thinking in Public, a series of conversations with the day’s leading thinkers. He also writes a popular blog and a regular commentary on moral, cultural, and theological issues. Dr. Mohler will be one of the speakers at the NRB Pastors Track, which will offer valuable insights to pastors starting out in radio, TV, or streaming, and those wanting to improve their skills and their reach. Those who register for a February 24 day pass for Proclaim 16 will have access to the Pastors Track as well as the TV Summit, Radio Summit, Church Media Summit, Exposition, and two film screenings. With the purchase of a meal ticket, attendees will also be able to join the Pastors Lunch with Rick Warren and Dinner with the Greens, the founders/owners of Hobby Lobby. In addition, a Public Worship Service with Rick Warren and Michael W. Smith will be held later that evening. For more information, go to www.nrbconvention.org.